I did not give Undertale the fair shake it deserved and that’s a shame. It took a good year or so after it came out to try it. Frankly, having so many people badger me, telling me on social media that if I don’t play it, I “don’t like video games”, I “don’t like fun”, and I’m “an awful human being because you’ve never played Undertale, how dare you” put me off of it for sure. It was annoying, obnoxious, and frankly a bit insulting. But I’d pick it up here and there and try it, and it has a concept I genuinely find interesting: The notion of being able to get through combat without a battle. Because most RPGs focus/require combat. Being able to/being encouraged to avoid combat at all points is really quite lovely. Of course, there’s a Genocide path too, but it’s not really a path you’re encouraged to walk. String Player Gamer really brought this soundtrack to life though. Each track has its own vision, its own flavor but manages to stay true to the initial song he arranged from. There are, of course, tracks I could talk about all day, like Megalovania. It’s a unique track apart from all of the others. The themes used within don’t remind me of anything else in the game. From what I’ve read it was for Homestuck? I didn’t read Homestuck for reasons that aren’t relevant to this piece. Spider Dance (Track 2): Spider Dance may be one of my absolute favorite songs on this entire album. It’s hard for me to place why. The drums are a great choice to add to the song, and really bring the haunting violin sound to life. A terrific combat song while also definitely feeling like a dance. This was supposed to be for Muffet, yes? Pretty certain. It reminded me of The Munsters. That’s what it reminded me of! Like an upbeat version of the Munsters TV theme. It would have been at home on any spooky TV program in that era. Spear of Justice (Track 16): The Spanish Flamenco style reminded me desperately of Final Fantasy IX and “Vamo’ alla Flamenco”. Now I want to go back to playing Final Fantasy IX… The theme of Undyne is unique and this version of it’s no exception. Much like Spider Dance, it has just as much of a place in a dance hall as it does in combat. It genuinely feels like a tribute to a pair of classics at once. It’s an incredibly dramatic song right from the start, and if this weren’t a game concerned with not doing battle, it would still have a home. When I listen to it I picture the hero and the “villain” standing a few feet apart, staring intently at one another before weapons clash. I could also see this being used in an action film. Bonetrousle (Track 4): Bonetrousle is also heard in “Nye Heh Heh” in the regular Undertale soundtrack, I’m pretty sure. Papyrus’ theme comes to life here if you’ll pardon the expression. It sounds like, in the beginning at least, if String Player Gamer is using a technique called “Double Stop”, where a bowed instrument plays on two strings at the same time. It creates a very chilling effect for a song like this. You see, I had six or seven years on the Viola; I still know some of this stuff! The change towards the end of the song, where it gets darker, lower is a nice tonal shift. The battle (if you choose to do battle with spoiler) will feature it as well in some form, I’m fairly certain. It’s a tribute to a great pair of personalities. But The Earth Refused to Die (Track 19): This is the “Undyne the Undying” track. I’ve not played a Genocide run, but I’m certain this is during that. I won’t spoil any story stuff, what little I’ve had already spoiled for me, but this is the definition of a dramatic, tension-filled moment, and the track put together reflects that. Undyne becomes Undyne the Undying and fights on, clinging to Determination to see them through. Undyne is passionate about everything they do, and even their music reflects that in the direst of times. Love this track. Easily one of my favorites on the whole thing. Battle Against a True Hero (Track 20): Man. 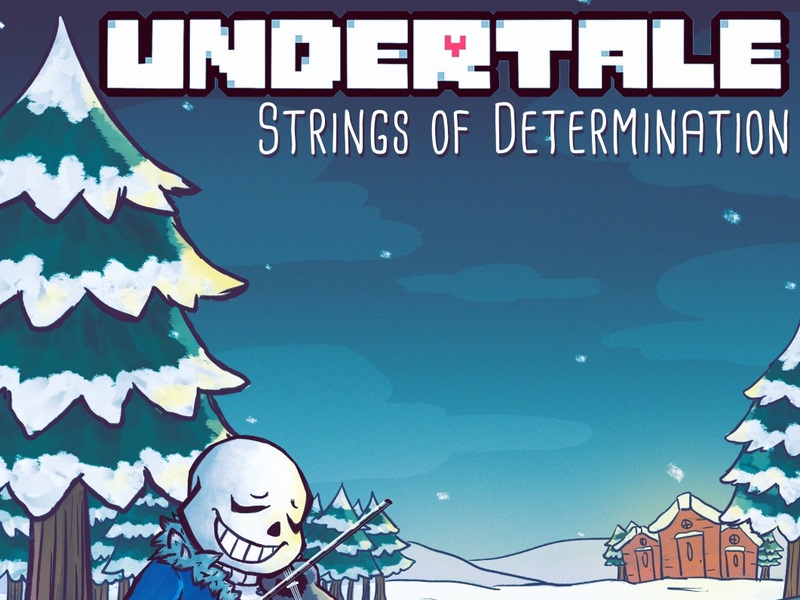 That “adventure theme” across much of the Undertale score comes back here. This is a song for special boss fights in the Genocidal Run. Why does the Genocidal path get so much amazing music? It hardly seems fair. The music is luring me down a path of violence! This is music so intense you’ll clench your fist in Determination while listening to it, gazing off into the distance as battle (perceived or otherwise) looms. This is definitely another track I could see being used in an anime fight scene, swords clashing and cool flips through the air happen simultaneously. It’s a shame you’re the villain of this piece. ASGORE (Track 9): ASGORE is part regal castle theme, part battle theme. Being that ASGORE is a literal Bergentrückung (Yes, I actually knew the word for “King in the Mountain”), it’s fitting that his song should have a Bergentrückung feel to it. Is it just me or does it also kind of sound like Toriel’s theme? This is another pulse-pounding song, and though it doesn’t remind me of the actual “King in the Mountain Hall” by Grieg, I love it. ASGORE looks so damn sad in his sprite. It makes sense that it would remind me of Toriel though, for story purposes. Once Upon A Time (Track 21): Once upon a time reminds me of something I’d probably hear in EarthBound. The soothing, calming sounds remind me of being in Onett, or being on the phone with my Mother (or Ness’ mother as appropriate) and figuring out that “It gets better”. That’s what I think of when I hear Once Upon A Time: It Gets Better. It’s short but peaceful and the idea that such a peaceful sound exists makes my day better.